Click on the "Dashboard" tab (in the manage toolbar) and click on "Officers" (in the left menu). 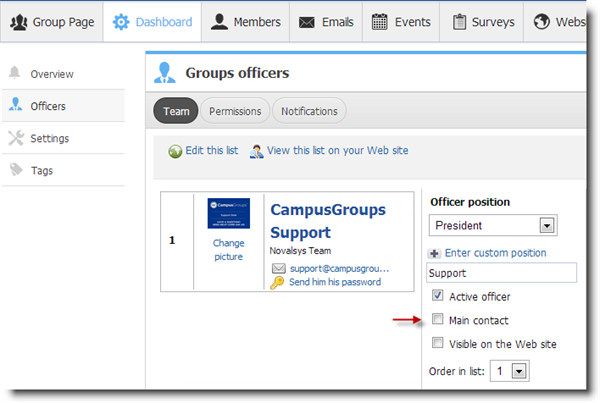 On this page, you can choose which officers you want to be the main contacts of your group. These officers will receive emails sent to your website's contact. 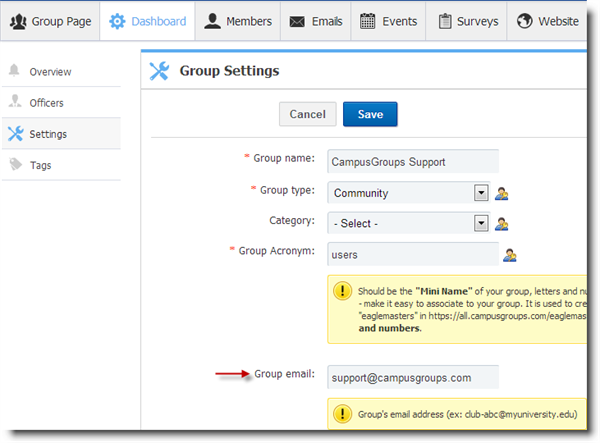 Otherwise you can also enter a group email address in the "Group Settings" menu (in the left menu).